Three meals a day, 365 days a year. A lifetime of years. A tall order. 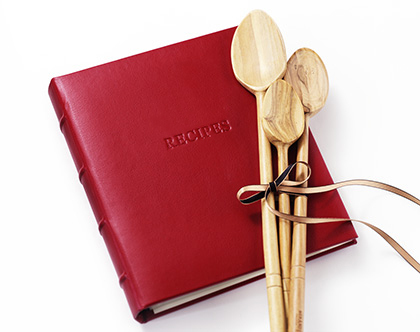 Our Recipe Organizers are constructed to stand up to the task while providing an attractive accent to any kitchen. Spanish bonded leather covers, specifically treated with a stain resistant finish and reinforced at points of wear.